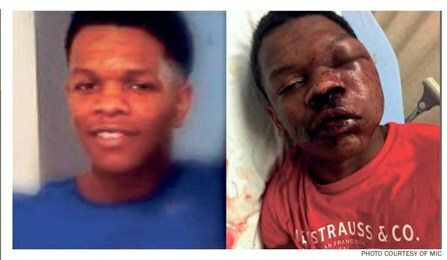 17-year-old Ulysses Wilkerson was beaten so severely by police in Alabama that he required surgery. I sure hope it will be for everyone. But I have many reservations about some of the clearest handwriting on the wall that will affect our daily lives going forward. Take the following examples: Re climate change: Just look around, and believe your own eyes; feel the cold/heat. You decide. Re Police brutality against black men: Do the math, the numbers don’t lie. A most recent incident in the news left a 17-year-old black boy in Alabama with facial battery – at the hands of white policemen – that requires surgery. Re right wing religious zealotry: Roy Moore almost got elected. “The Handmaids Tale” is an award-winning dystopian movie about how the white male super power has taken over the world – in the name of some God; and, they, along with many of their wives, elected Donald trump to be president of the USA. Need more examples? Re a woman’s right to exist unmolested: #metoo is a redundancy! Victimization of females is universal (genital mutilation, child brides, underpayment for equal work, etc.). It could be anyone of us as long as males are socialized to be dominant. Check how you are raising your own children – boys and girls. Re the threat of nuclear war: It’s really real folks. Now that all the superpowers in every quarter of the globe have access to the mother of all bombs, we are all in peril. So, live each day as if it were your last. chattel; Omarosa’s unceremonious outing from the White House – small but telling signs that have entered into the post-Obama national dialogue about our value in society. Sorry to say, I am not hopeful that any of the above threads will turn positive in 2018. 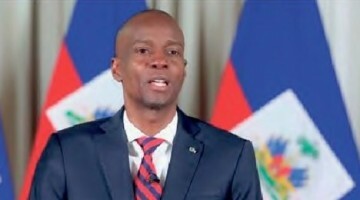 No, I’m convinced that we have only brushed up against the bruising reality of the proverbial “tip of the iceberg.” Indeed, there are damaging political ideologies and everyday practices of racism, radical religious doubling-down, and outright hatred of the “other,” that have put us on a trajectory of continued civil outbreaks. I currently live in Dallas, Texas, a small blue hole in a very large red state, and also where the KKK has been openly advertising for membership on college campuses! Here, there is a longstanding tradition of gun-slinging, open carrying, high (horse)riding, cowboy wrangling practices. Gun racks on the back of pickup trucks are visible everywhere. Scary? You bet! Don’t be fooled. Just because you may not see the same where you live, don’t think for a moment that a similar mentality does not exist all around you. It may be walking in a suit; in a bank, or on Wall Street. It may be demarcated by the way the women vote. It may be being preached from the pulpit on Sundays. The messages are there for you to hear, see and feel: You (black and brown person) don’t matter, or you matter less; and sadly, the leader of this country has given a thumbs-up sign for the base impulses of the citizens to carry on with acting out badly, dangerously. There are some thoughtful folk who like to remind us that we live in a country of laws. Ok. But the laws that have been instituted to protect the most vulnerable against predators are being overturned, one by one: The Native Americans are losing ground, and oil companies have won access to more drilling sights; voting rights are being challenged; right-wing federal judges are being appointed as well as the certain right-tipping of the Supreme Court; police have been given license to exact more punitive measures against ordinary citizens; women’s vaginas are fair game for grabbing; health care is less guaranteed; and on and on. But there is a glimmer of hope. As the Alabama senatorial election has proven, the Democratic Party has woken up to the supreme value of the black vote (again). It’s just a matter of time (2018 midterm elections) before the power of that vote will be energized and/or exploited. I just hope and pray that the powers that be get a full understanding of how much black lives matter at the polls when it will be in our power to usher in a new system – a new way of being in the USA. Stay woke people. Use your power. Empower yourselves to take back your country – built on your backs, and fertilized with your blood!